We've some very exciting news this week at Stylist which we just couldn't wait to share with you. 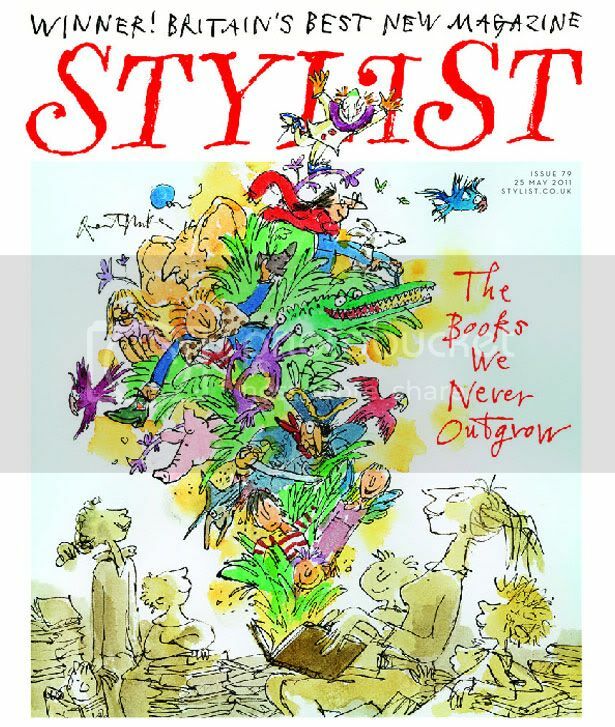 In another landmark cover, this week's front page is entirely sketched by children's book illustrator Quentin Blake. Made famous by his illustrations for all of Roald Dahl's books - including Matilda, The Twits and Charlie and the Chocolate Factory - Blake's cover, shown in full below, marks our feature on The Books We Never Outgrow. Look out for this week's special editon of Stylist magazine, which will hit the streets on Tuesday (24 May) afternoon and Wednesday (25 May) morning.